The residents of Tijuana in Mexico are becoming very impatient over the situation with the mass migrant caravans lingering in their communities. Now, the mayor of Tijuana has come forward in an interview to say that he is calling for the arrest of the group responsible for organizing the caravan, "Pueblo Sin Fronteras" (People Without Borders). During the interview, Fox News reporter Griff Jenkins spoke with the Tijuana Mayor Juan Manuel Gastelum about the illegal migrant caravan currently occupying his city. Gastelum insisted on taking care of the problem the legal way and using Mexico's federal police to arrest the organizers of the caravan. The reason he cited was for "putting people at risk". In reality, that is probably just one of many charges the organizers could face since the caravans literally fought their way past Mexican border police and infiltrated the country's border fence. Now, they are hoping to do the same to get into America, but the Trump administration has vowed that no one will enter the country illegally. President Trump even sent the military to the border to help shore up defenses and lay miles and miles of razor wire. 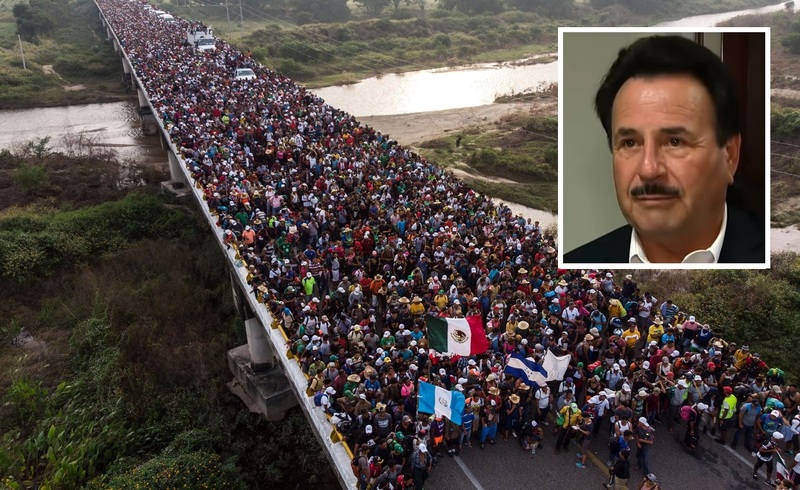 You can't blame Mayor Gastelum for the situation, he did not ask for the caravan of illegal migrants numbering over 6,000 to come and occupy his city. Now they are even committing crimes such as stealing and even dine-and-dashing at restaurants. Gastelum is calling for federal authorities to arrest the organizers saying, "Let’s take care of them in a legal way." "We've have never, never, never, never had this problem," Gastelum added. "Some of these people are coming in violently, disrespectfully, not as a good, law-abiding citizen. And that’s what’s hurt us." He also elaborated on how the migrants were hurting the local economy in Tijuana. Gastelum continued, "In those six hours that the border was closed, we lost approximately 129 million pesos. That’s not fair. How do you think people from Tijuana feel towards those people who are making problems?" Many of Tijuana's residents legally cross the border into the U.S. to work in San Diego each day but were unable to due to the migrants trying to forcefully enter the country by throwing rocks and ripping open fences. The Tijuana mayor concluded the interview saying, "I’m not going to break public services to solve this problem." The mayor is not the only person in Tijuana who is upset with the situation, he was forced into action to protect the wellbeing of the Tijuana residents who are faced with the violent crime and robberies currently being committed by the migrants. They too want the caravans gone. We already know the name of one of the organizers and he is a Socialist that hates the USA and any form of Free Market despite thats how he made his Big $$$$$$$. Why haven't we just Frozen his ASSets and dry up his ability to FUND these Protests? Anyone else find humor that Mexicans are getting annoyed with crap loads of people entering their country illegally and causing problems? Irony is delicious.